← Looking to Sell Your Home? Get Financially Fit. Great news! The housing market data in contrast to one year ago shows that January 2015 has kick started the new year with trends better than 2014. According to the Indiana Real Estate Markets Report, January home sales increased 4.9 percent statewide in comparison to last January. 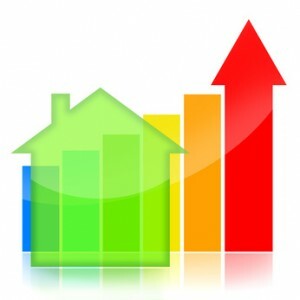 In addition, prices were also better with the media home sale price in January of $115,000. This is a 4.5 percent increase from 2014. “The increase in December pending home sales suggested that 2015 would be off to a faster start than last year, and it proved true,” said Brownsburg’s Bruce Bright, 2015 President of the Indiana Association of REALTORS®. “The credit for some of that increase is due to milder weather. Credit is also due to high consumer confidence fueled by low interest rates and the growth in the number of private-sector jobs. Are you in the market to buy or sell a home? Contact us to help with your title and closing needs! This entry was posted in In The News and tagged Anderson, buying a home, buying a home in Indiana, buying a home in Madison County, buying a house, closing, home, home buying, home closings, home loan, home ownership, home seller, home selling, homes for sale, housing market, housing market trends, Madison County, market trends, realtor, Rowland Title, Rowland Title Company, selling a home. Bookmark the permalink.